We published this valentine’s puzzle craft but somehow our pin went missing so we’ve updated the post with a pinnable image at the end! We all have one puzzle that after a few good rounds of a toddler is missing one or six pieces. 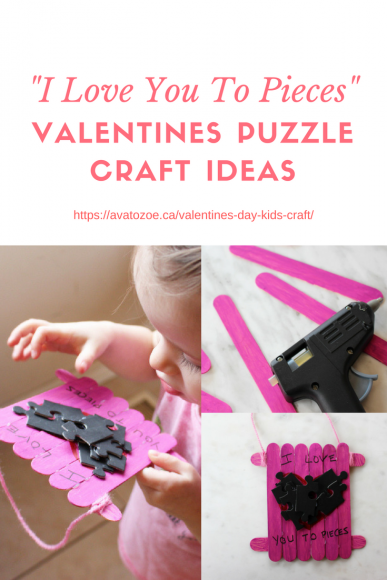 Here is a quick fun way to make use of that puzzle and make a really cute, fun, easy and cost friendly valentine’s puzzle craft with the little in your life. We spent an afternoon painting popsicle sticks and puzzle pieces and with a little help from mom, I have a cute craft to send to the grandparents just to let them know we’re thinking about them! 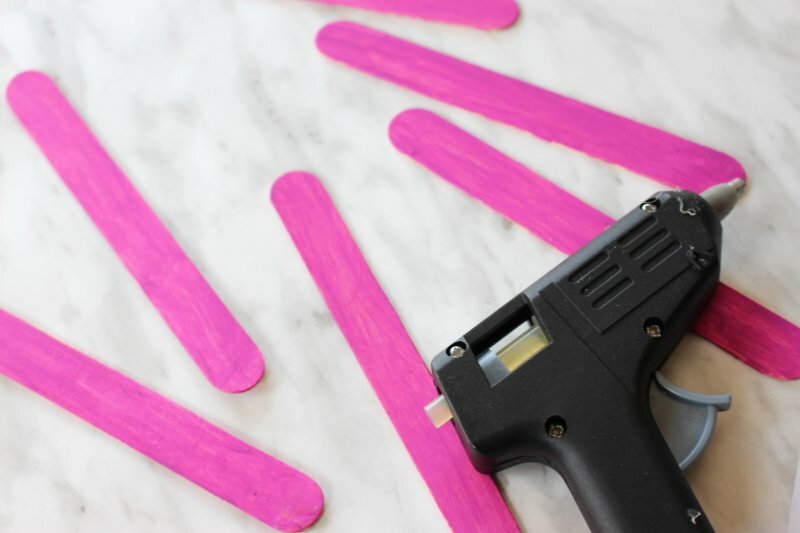 We already had pink paint at home, so we painted all the popsicle sticks pink, depending on the age of the child this might be a bit difficult for them, but be prepared for a little mess, a million smiles and a fun time! Wearing paintable clothes is ideal! I used 8 large popsicle sticks for this one in total. However, you can do more or less depending on the look you want. While the popsicle sticks are drying, paint the puzzle pieces all one colour. I chose black, however, you can really use any colour that you’d like. You will need approximately 5 per craft! Paint them black and set aside to allow them to dry fully. 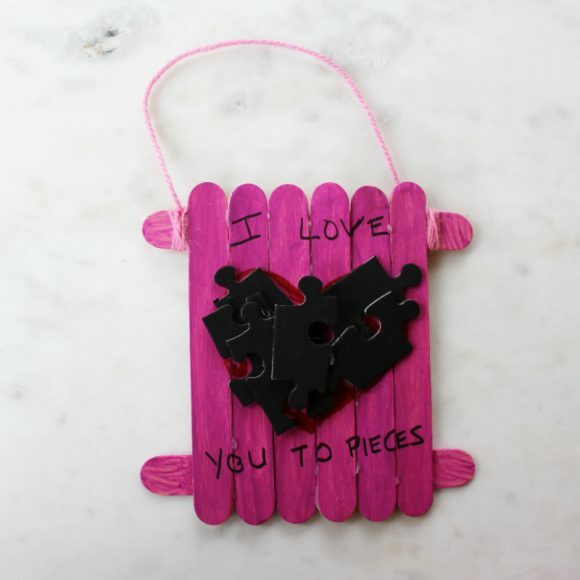 With the paint dry on both the popsicle sticks and puzzle pieces, you can begin to assemble your craft. First, hot glue 6 of the 8 popsicle sticks side by side to create a fence. I then proceeded to glue two sticks behind to add some stability! 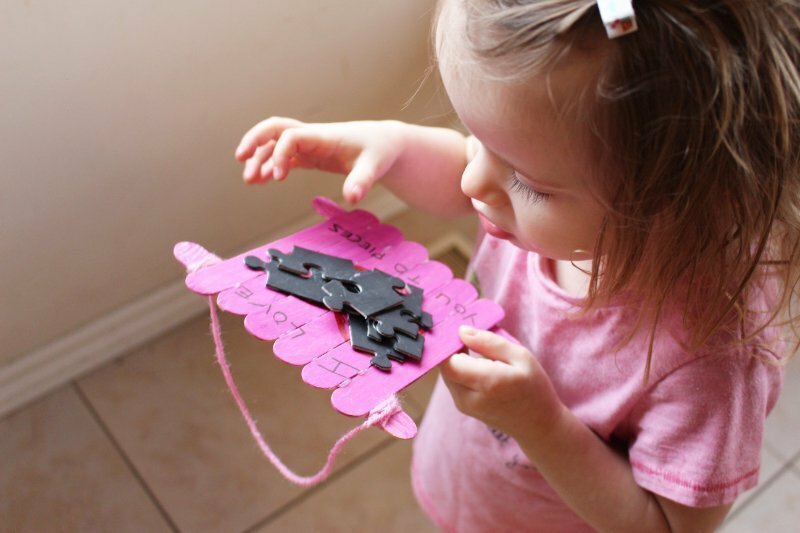 Use the leftovers for this easy valentine’s puzzle craft! 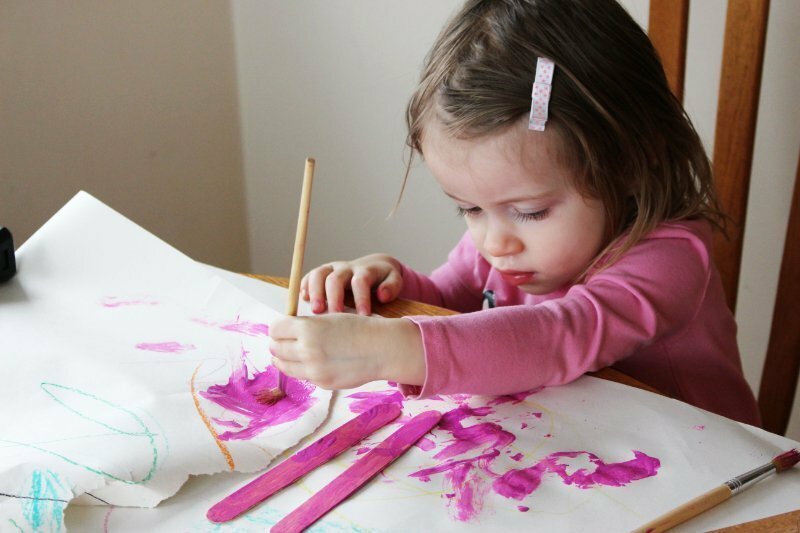 Once the glue has dried, either yourself or child can draw a heart on the popsicle sticks. You will use this as a guideline for where to place your puzzle pieces. You will want to place the puzzle pieces inside the heart shape in. Once you are happy with how they look, use glue to secure their place in the heart! After you have glued the pieces on, you will want to take a sharpie and write the phrase “I Love You To Pieces” and voila! Your craft is complete! You can then leave it as is or you can use yarn like I have and wrapped it around the top ends to allow for it to hang on a door, or on a wall, it’s your choice! 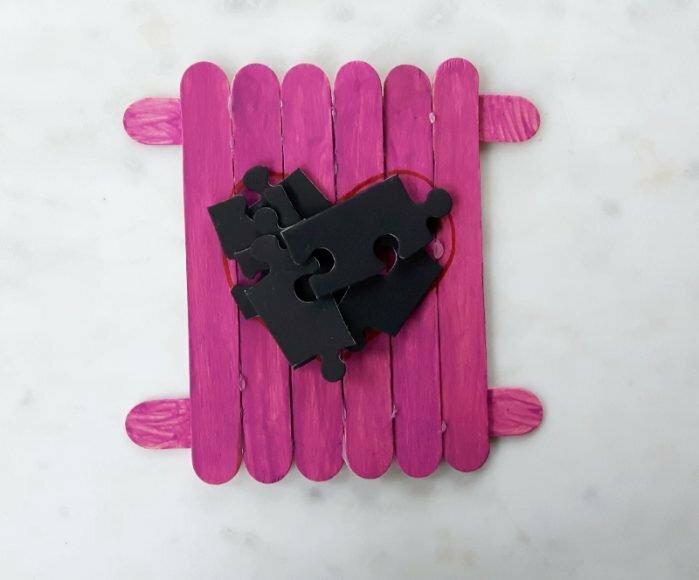 This Valentine’s Day kid’s craft is so easy and fun to do and the perfect way to make use of those puzzles that are missing a piece or two. 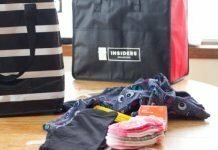 You really cannot go wrong, it’s cute and easy on the wallet! Happy Valentine’s Day everyone! Not Crafty? You can download a free Valentine’s Day printable HERE featuring homemade marshmallows from the lovely Marsh&Mallow. This craft is so adorable! 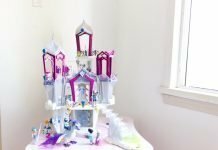 Adding to our list of things to make with the toddler!